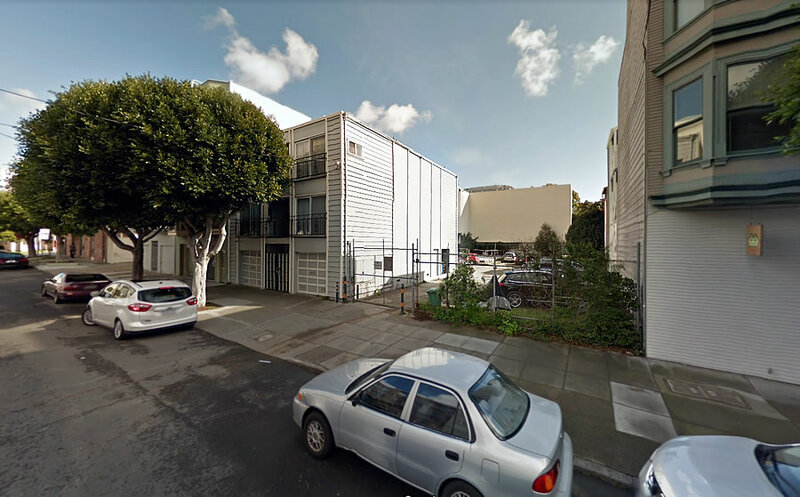 The little four-unit building at 630 Octavia Street and its adjacent parcel, which is currently used as a parking lot, recently traded hands for what would appear to be a total contract price of $4.6 million. A few years ago, plans to merge the two lots, level the existing building, and develop a new building upon the combined 9,453-square-foot parcel were considered but never pursued. And while the two lots are currently zoned for development up to 40 feet in height, it would appear the recent buyer has even bigger plans. In fact, preliminary plans to merge the two lots, level the existing building, and construct a new 7-story building upon the combined lot, with 30 units of housing over a ground floor commercial space and a garage for 15 cars, have been drafted. But exactly how the additional height would be achieved has yet to be revealed. I’m just curious what that roofed-over pit is at the back of the lot. As 630 Octavia is a multi-unit building from 1962, the Rent Ordinance covers those 4 units. So won’t the City be disinclined to grant permission to demolish the building? Won’t the City just make them add back 4 rent controlled units? That’s definitely an option. I believe that’s what the City required with the Parkmerced demolitions. But the city can also simply reject the application for demolition permits. The reason it might do so is to prevent displacing any existing tenants for the long stretch during which the new building is being built. Look at the redevelopment of the Potrero Annex and Terrace though. That’s being done in phases that will ultimate result in the same number (600) of new public housing units being available that are now (+200 below market rate units and 800 market rate units). So, while that is much larger scale, there is precedent for allowing the direct replacement of rent controlled or public housing stock in scaled up developments. Recall that the Potrero and Sunnydale projects along with other redevelopment recent deals was based on the prior “agreements” with the city done with the same language as Parkmerced…. However due to the recent resale of parkmerced to the karasick group the reality of the untested legal issues is Palmer vs 6th and costa Hawkins / which if appealed maybtoss out the notion of “protected” rental units when sold to a new owner…. 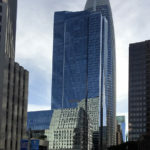 this means the newly constructed units and the “iron-clad” city agreements may not be so iron-clad, and the future of those prior rent controlled units may now face issues if someone challenges the agreements……. based solely on the premises of new construction not being rent controlled…. City negotiated but with the ignoring of the reality of laws and therefore was negligent on the parkmerced and further deals….. by not following the general plan and protecting existing units…. Unlike New York’s FAR system, it doesn’t seem that large lots allow for taller buildings here (unfortunately). So, many tiny buildings on small lots as developers don’t seem to have incentive to assemble multiple adjacent parcels? Might this be a project invoking the State Density Bonus to enable extra height and maybe even the lot merger (not sure if the SDB can grease the skids on that, too)? 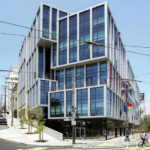 If SB50 passes in its current form, I think the city will not be able to say no to demolition so long as the replacement building was providing more housing. Combine that with the SDB and you could put an 85′ building here. Hello, Manhattan! Problem being we don’t have a Manhattan infrastructure, transit,libraries,pools schools and parks, water, power etc of manhattan so seems a little like over-settlement to me prior to a big EQ….. is Scott wiener paying for any of the needed fixes out of his own pockets? He seems to forget how crowded the city already is??? Manhattan didn’t have that infrastructure once too. Heck, SF was once an overgrown garbage dump. We’ve built before and can keep doing so.